There are a few things I (Lauren) cannot help but crave during these hot summer days. Right now it’s fresh herbs, watermelon, and ice cold salads, so I thought I’d share a couple of my go-to salad recipes. These salads are not only hearty and filling, but they pack a punch of delicious flavors that will keep you coming back for more. 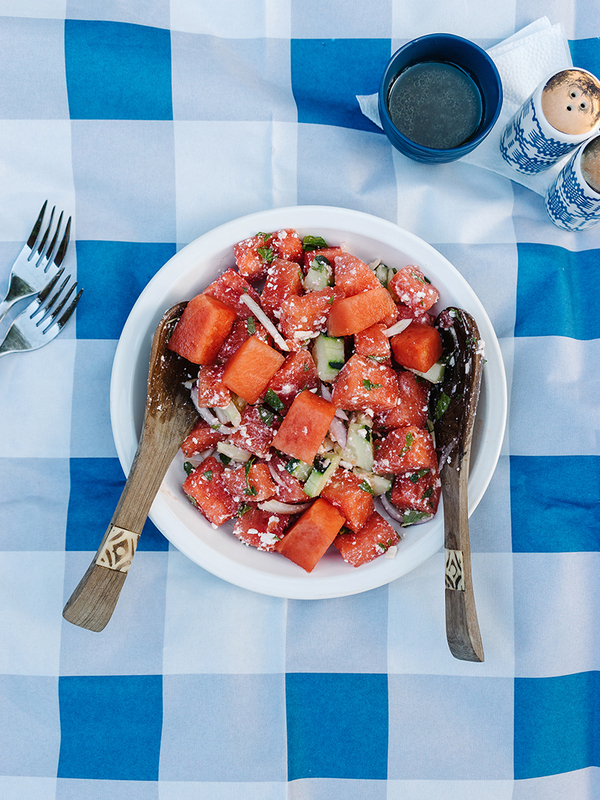 First up let’s talk about the refreshing, irresistible summer staple; watermelon! My stomach is getting close to the size of one (I’m due in September!) and I have no problem scarfing down an entire bowl in one sitting. Watermelons are mostly water — about 92 percent — making it an ideal summer snack but this refresher is also nutrient packed. Each juicy bite has significant levels of vitamins A, B6, C, lots of lycopene (essential for bone and cardiovascular health), antioxidants, potassium, and amino acids. 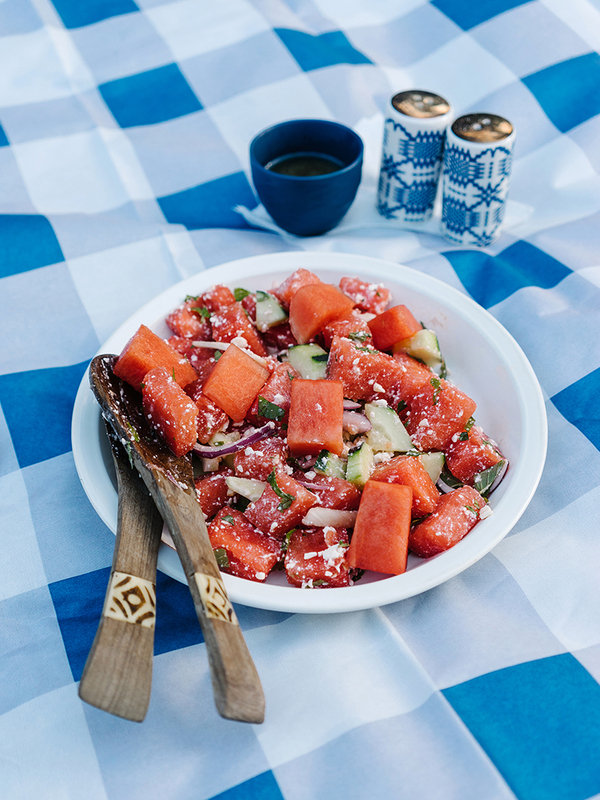 Clearly watermelon is amazing on it’s own, but adding a few other ingredients takes it to a whole new level. 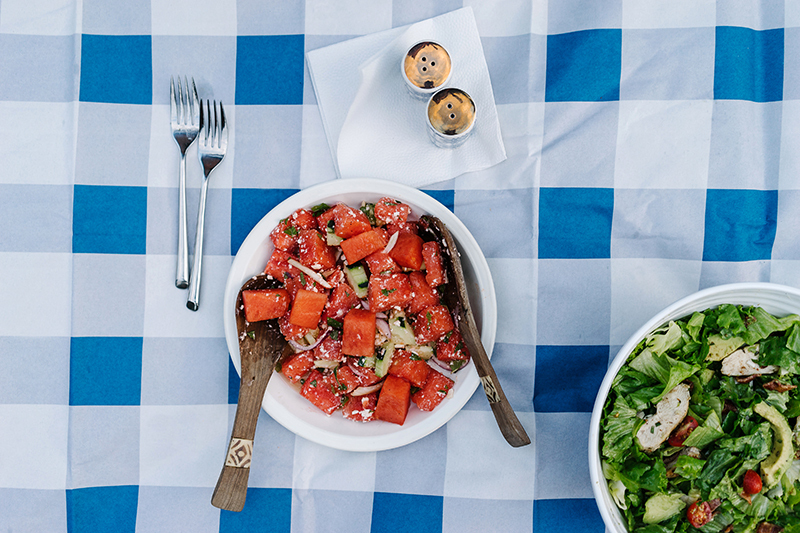 For this salad, I am pairing the sweetness of watermelon with the aromatic flavors of fresh mint and fennel. For some salt we’ll add cucumber and feta cheese. For spice, red onion and to finish, a drizzle of honey-lime dressing. 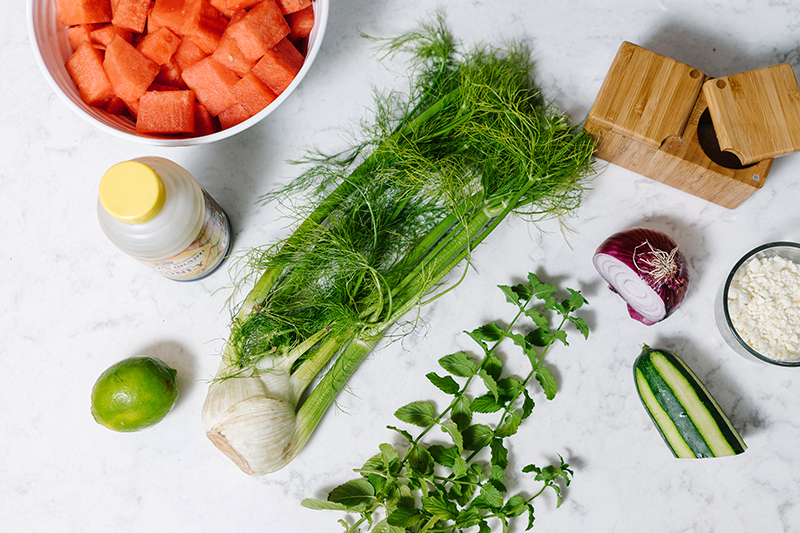 If you’re unfamiliar with fennel, it has a crunchy texture and mild licorice flavor (if you’re not a huge fan of licorice like me, give it a chance–it’s really such a great flavor profile). To use fennel for this recipe, cut the white bulb from the stalk, then cut the bulb in half and cut into vertical strips. This salad’s flavors touch all the taste buds. It is the perfect midday snack or a crowd pleaser at bbq’s and picnics. I keep it in an airtight container in the fridge a munch on it for a few days, though it never lasts long. Cut and measure all ingredients according to list above. 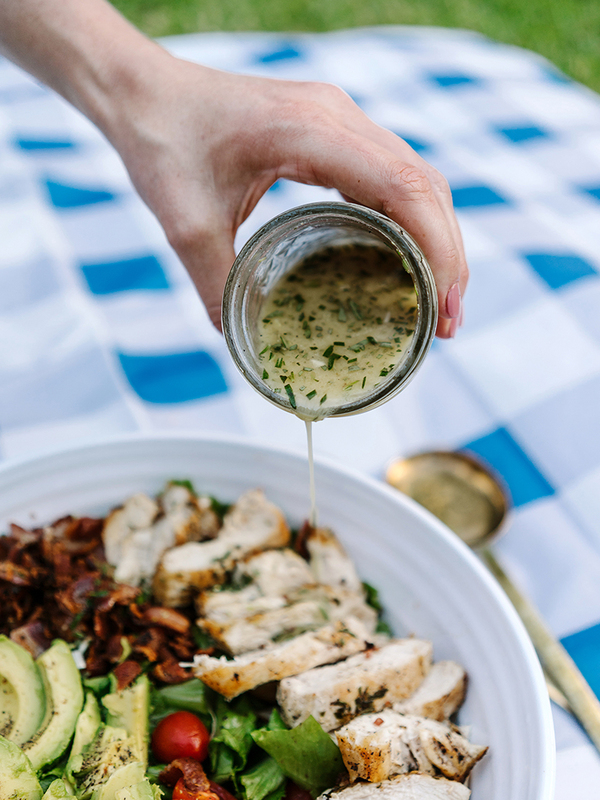 Combine well and drizzle with dressing. Tip: When picking out a watermelon, look for one with a nice worn-out yellowish side. This indicates it has sat on the vine to ripen for a good amount of time and will increase your chances of a sweet watermelon! My second favorite salad is rich, savory, and so good. Rosemary is one of my favorite herbs, as it’s one of the most aromatic and pungent herbs there is. The needle like leaves have a lemon-pine flavor that can easily overtake a dish, so it’s important to stick with the recipe to ensure it’s well-balanced with other flavors. When using fresh rosemary, strip the needles off the stem by running your fingers along the stem from top to bottom in the opposite direction that the leaves grow. The leaves remain quite tough even when cooked, so mincing them finely is important. 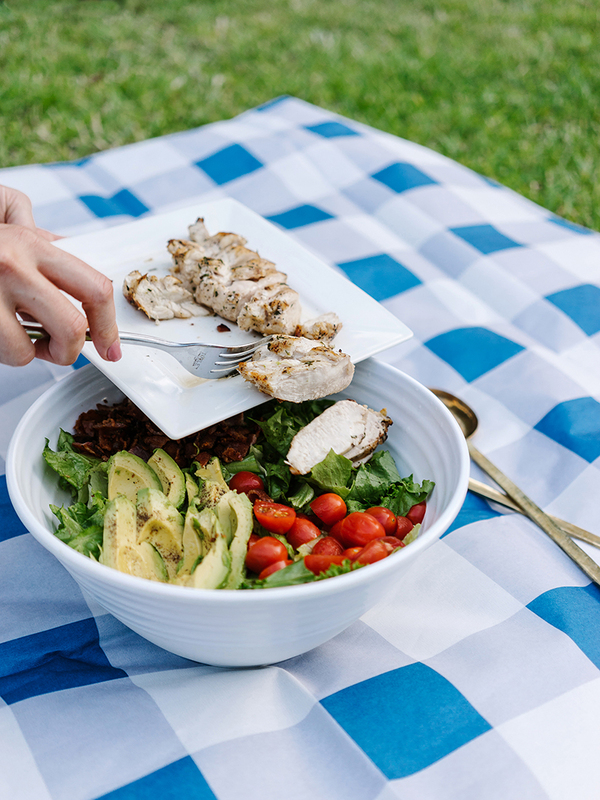 I’ve matched this earthy herb with chicken, bacon, and creamy avocado to add the perfect richness, while the arugula adds just a hint of spice. When this salad is on the menu for the week, I hear no complaints from the hubby because it’s so filling and flavorful. Bring it to your next dinner party and I promise it’ll be a smash hit. Cook bacon strips over med-high heat until crispy, drain on a paper towel then chop into small chunks. 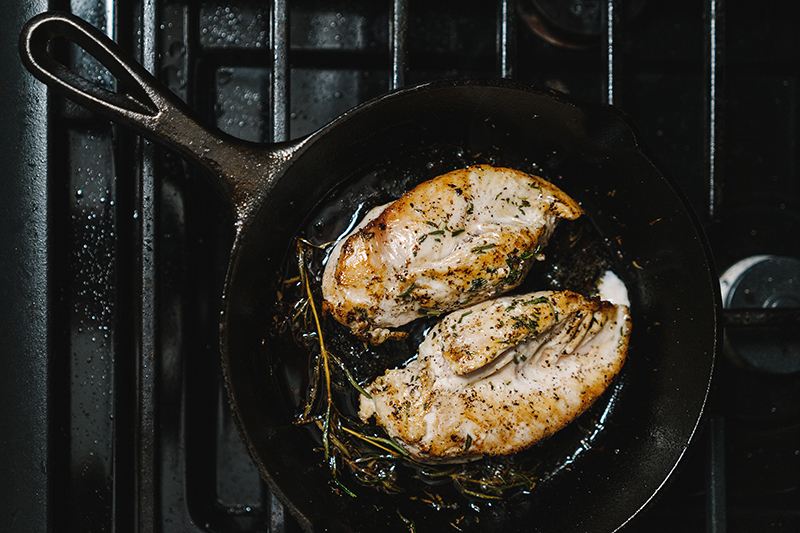 Season chicken with salt, pepper, and chopped rosemary. In the same skillet, over medium heat, add the chicken and cook until golden and crisp on both sides (about 8-10 minutes). Remove from heat once fully cooked and set aside. 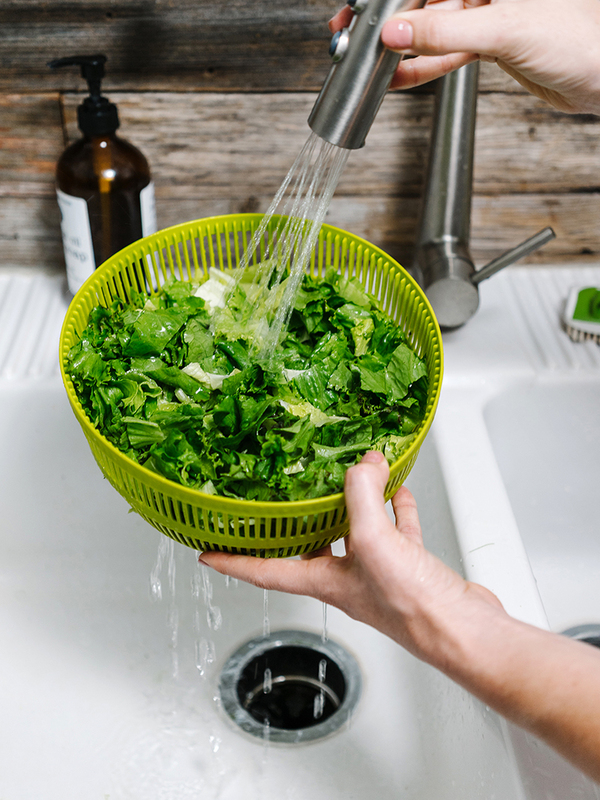 Chop and wash leafy lettuce, then mix in arugula. Top with the tomatoes, sliced chicken, bacon bits and avocado. Whisk together the mustard, oil and vinegar. Whisk in the rosemary, garlic, then salt and pepper to taste. 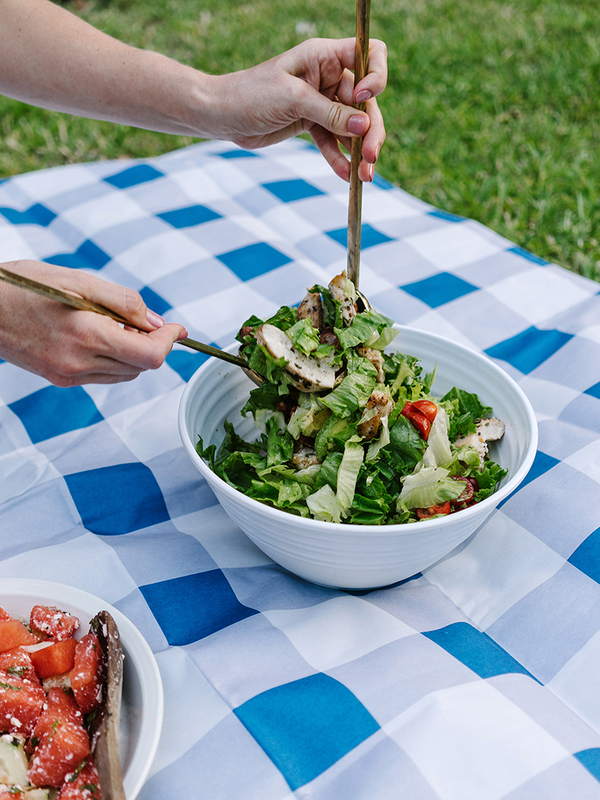 Drizzle over entire salad, mix well. Note: I have used all kind of lettuce with this salad: spring mix, watercress, spinach and so on. Use what you love or have on hand. Grilled chicken is also fabulous on this dish. If you don’t have rosemary, fresh basil is an amazing substitute–it’s just as delicious and a totally new flavor profile! What are you craving during this hot summer days? Let me know how you like them, Chel! This looks so good! Perfect for a summer dinner out on the deck! Right?! It’s so hot here at the moment that this sounds like a perfect way to not heat up the kitchen!